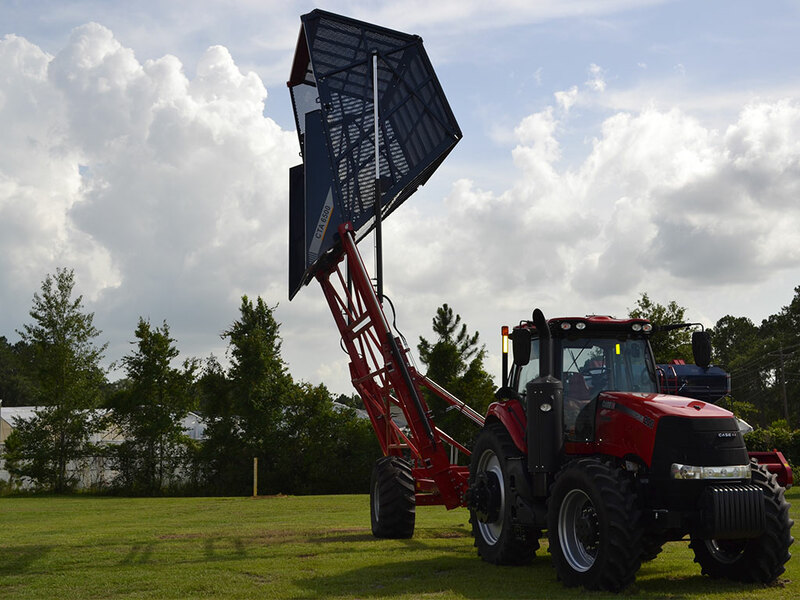 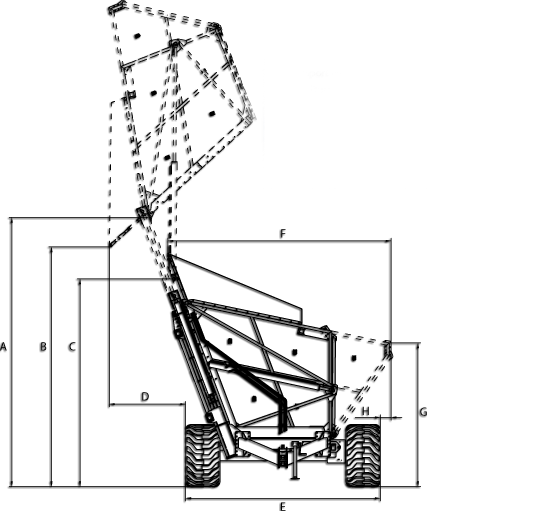 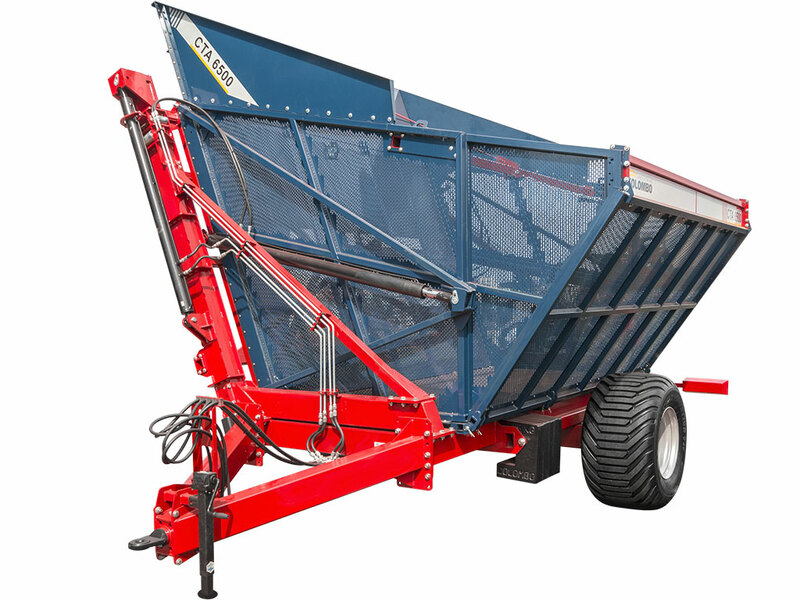 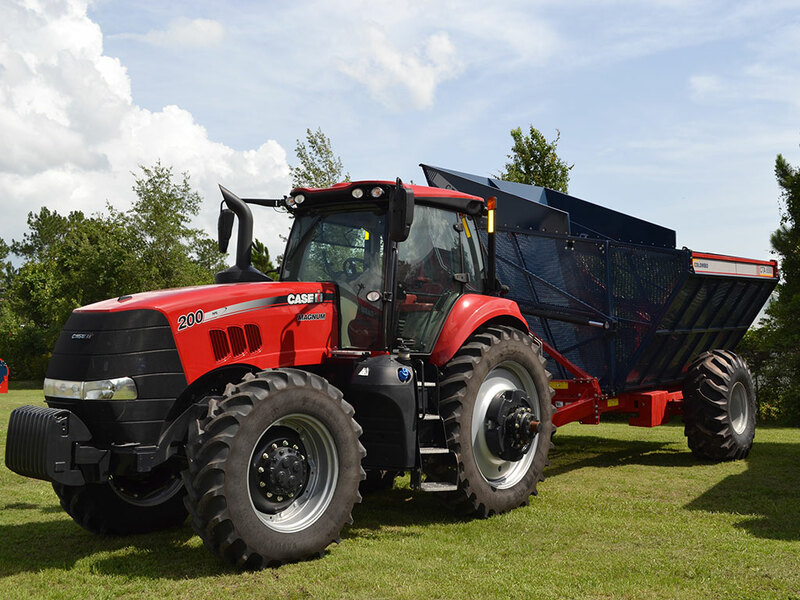 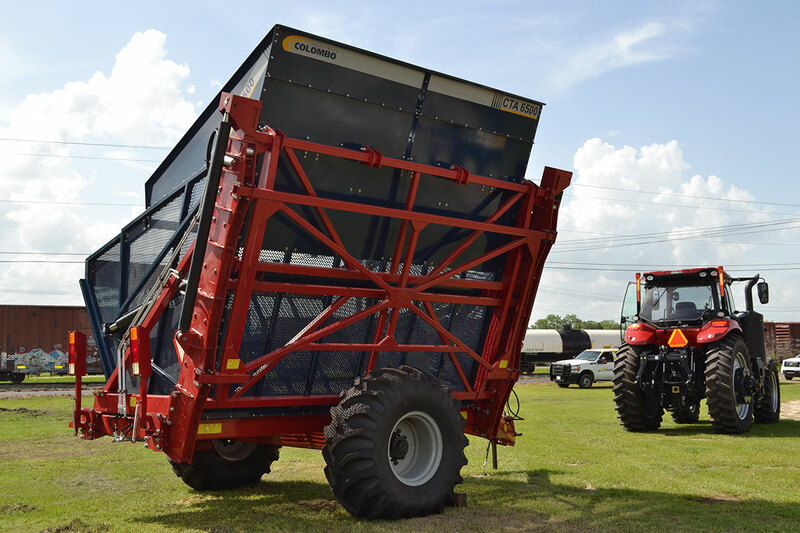 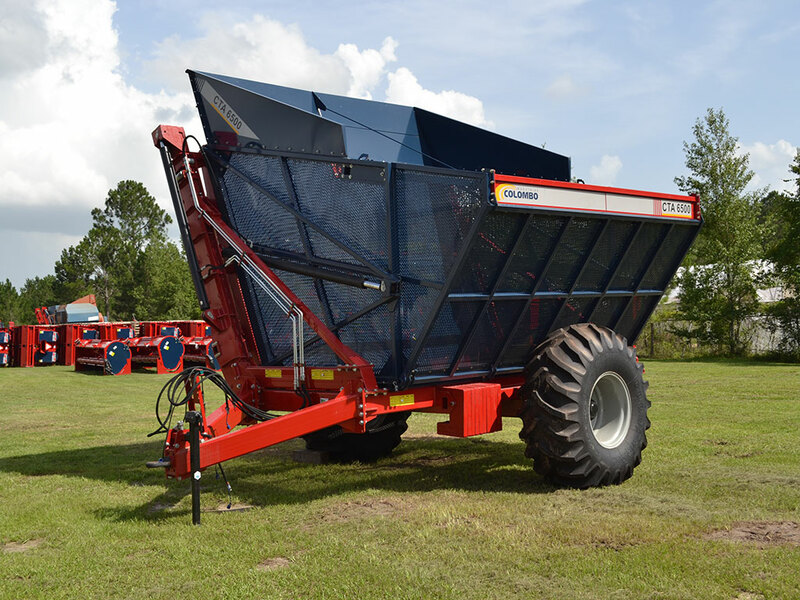 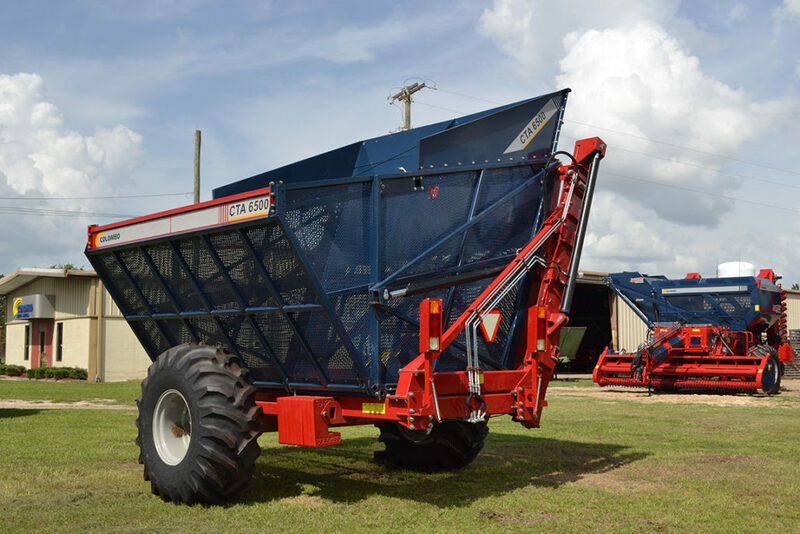 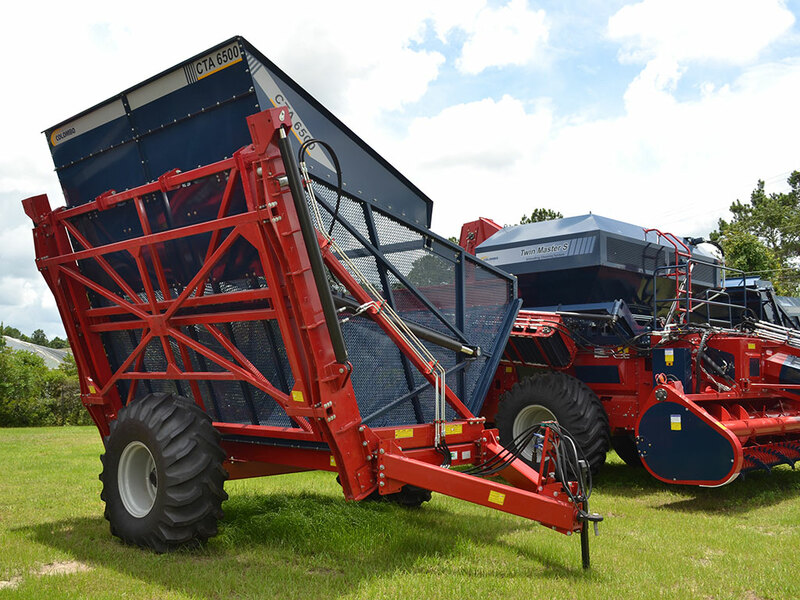 The CTA 6500 Dump Cart is designed with the America Farmer in mind. 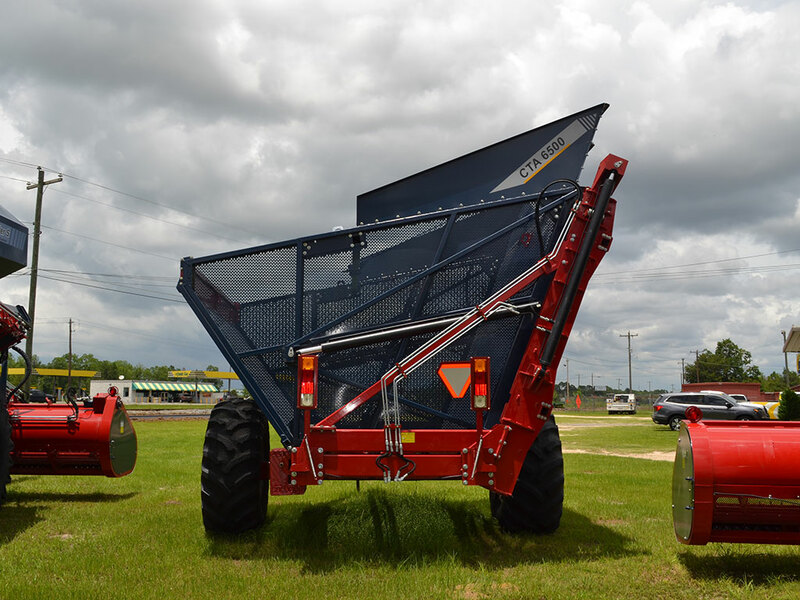 It’s manufactured to be strong, durable, and versatile. 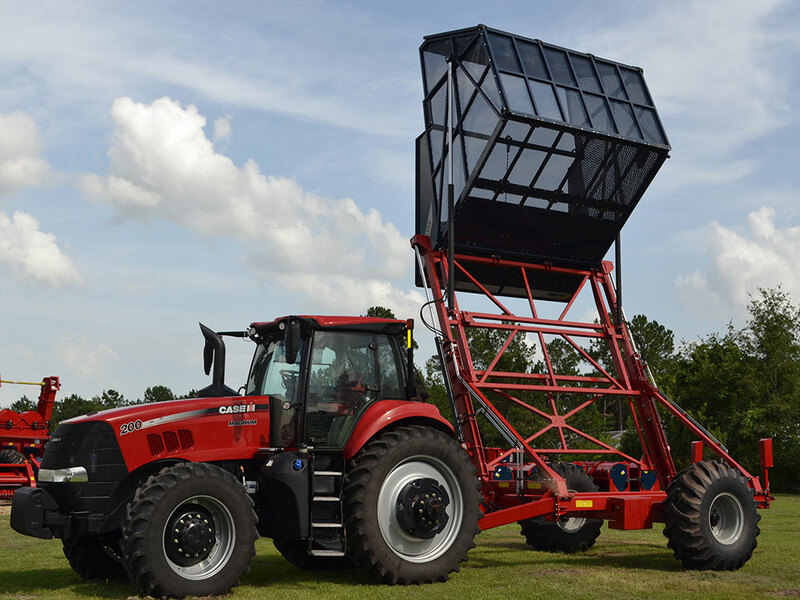 1- Long-Life, high flotation W600/50D22.5 tires provide excellent stability and flotation while operating with heavy loads in soft soil or boggy conditions. 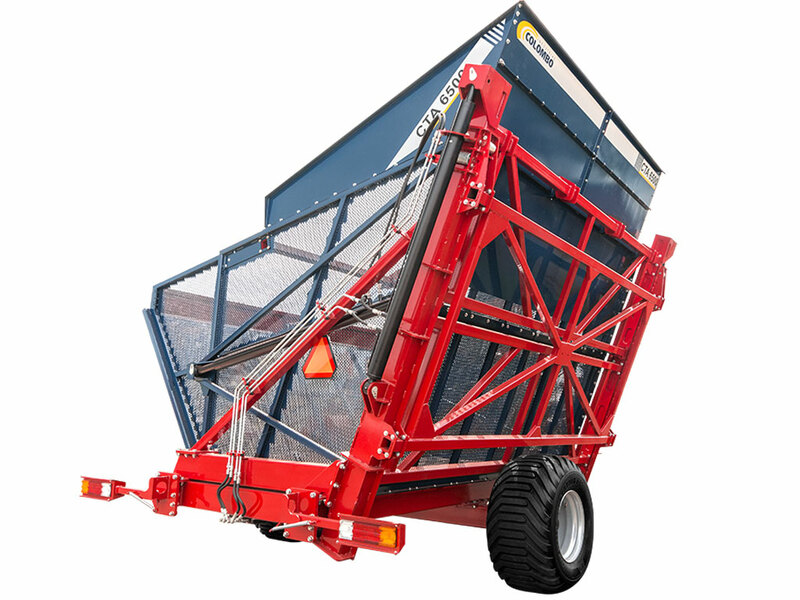 3- Extra High Dumping Capabilities of 16’8” make using the Colombo CTA 6500 a breeze when dumping into semi-trailers or wagons. 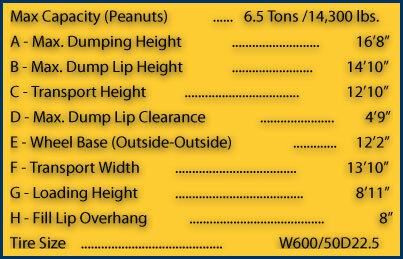 4- 8″ Fill Lip Overhang significantly reduces spillage when dumping.